The mid to late 90’s saw a huge influx of ska in music everywhere. Christian music fans listened to bands such as the O.C. Supertones, the Insyderz, and Five Iron Frenzy. Recently, Five Iron Frenzy released “Engine of a Million Plots” after a long hiatus. 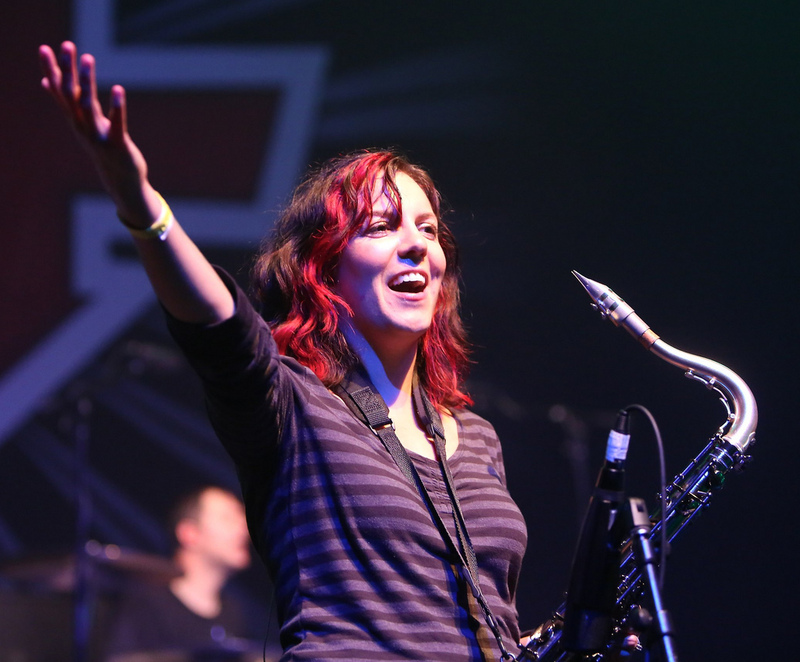 I spoke to Leanor Ortega (aka “Jeff the Girl”) recently about Five Iron Frenzy’s staying power, changes in the music industry and the future of the band. Gabe: It’s been over a year since the release of “Engine of a Million Plots“. How has this year been for you guys? Leanor: It’s been awesome to hear that people are enjoying the new songs and the overall sound. 2014 was super fun and crazy—averaging one weekend flyout including two shows per month! It was great to get our set tighter and also to share the stage with so many awesome bands. Gabe: How has the music industry changed since FIF’s original farewell? Leanor: We are enjoying the freedom that comes from not being on a label although it is challenging to get on the same page when we are allowed to decide our schedule. The music industry is more Do It Yourself now and bands are able to secure and play great venues as well as get their songs into the hands of the fans without having to negotiate terms with so many others. It’s also fun to be able to have social media come into play–we love connecting with our fans and it’s rad that they can know us better through Facebook, Twitter, Instagram etc. Gabe: Did you have a good experience with the Kickstarter format? Leanor: We did have a great experience with Kickstarter. I doubt our comeback could have been half of what it is without the funds raised and interest peaked thanks to our campaign. It was humbling and a blessing to have so many fans pledge and also send encouraging messages and pass on the word of our revival. We are super grateful for our fans for their continued support. Gabe: Why do you think Five Iron Frenzy has stood the test of time while other bands can’t figure out how to make that connection with their fans? Leanor: I am never sure what makes FIF “successful”….I think we are successful at being authentic friends and musicians and I think the fan base picks up on that. We are never setting out to make records on sales or blow anyone’s mind musically but we are thrilled to be able to play songs we enjoy writing and playing and making new friends along the way makes it all worth it! Gabe: Any plans for future music? 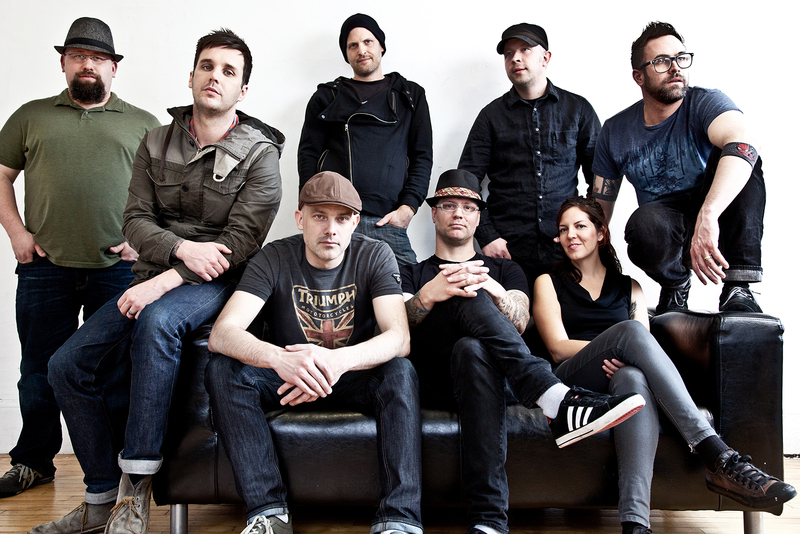 To keep up to date with Five Iron Frenzy, check out their website and follow them on Twitter! This entry was posted in art, Music and tagged five iron frenzy, insyderz, oc supertones, ska. Bookmark the permalink.